At some point in your WordPress development career, there comes a time when you ask yourself: “How in the world am I supposed to make that easy for the client to do themselves? !” Of course, by “at some point,” what I mean is “your very first project.” WordPress is incredibly powerful, but just about every project I have completed has needed some sort of additional customized functionality. Nice, neat; and above all, short. This is translated by WordPress to run the functions we had defined for the “hobbit” shortcode. How unruly is an SVG file? It would be nearly impossible for a client with no dev knowledge to be able to change out the color manually, and even if they did, the WYSIWYG editor would look terrible! I will never have a client that wants a blue hobbit on their site. Okay, okay. So that wasn’t the most realistic of examples. Let’s take a look at some instances where shortcodes are the best answer. …and outputs a fancy gallery on the site. Our contact form in the footer is created using this plugin’s shortcode. List is used to create an ordered list for our tutorials or steps, and menu is used for generating an unordered list for general articles like this one. This shortcode pulls all the h2 and h3 headers out of the content, adds ids to all of them, and then renders out a fancy little animated table of contents with anchor links to those headers. The quicknav shortcode is pretty advanced, dealing with conditional script enqueueing , filter hooks on the_content, dynamic hierarchical html rendering, and all kinds of other stuff. That’s probably a tutorial all by itself (maybe even a couple! ), so we’ll pick something a bit more simplistic for this article. How about a shortcode that embeds a google map iframe at a desired width. That oughta be a pretty good starting point. That’s not too bad! I see there’s a width attribute, height attribute, and some basic styling that removes the iframe border, and the src attribute uses the google maps embed api. Well shoot, this oughta be a breeze! Go ahead and follow the instructions on the google maps embed api page for grabbing your api key. Once you’re done, we’ll knock out the shortcode. That about does it. From here, we’re ready to create the function that’ll tell WordPress what to do with this shortcode. Before we get too far into the function, I want to talk about what just happened. 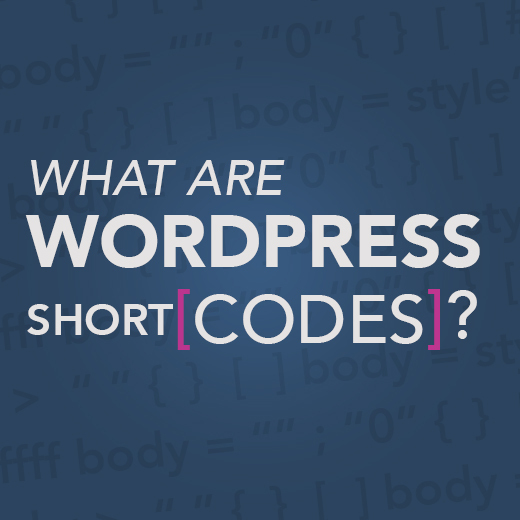 The add_shortcode function is built into WordPress, and takes two arguments. $settings now contains a merge of the two arrays. In our example, it ends up looking exactly like our original $options array. However, if the client forgets to add a dimension to their shortcode, they’ll still get a default of 800 x 600; if there’s no url, they’ll get a map of the United States. Nice! You see that map? ‘Merica! The first check is a WordPress function that checks the string against all registered shortcodes. The second is a PHP method that makes sure our function hasn’t yet been defined. That just about wraps it up—no pun intended. Where else can we take shortcodes? Well, we can pretty much do whatever we want from here. What can you come up with? Shortcodes are a server-side equivalant of HTML5 web components, so as you can imagine, you can do quite a bit with them. Take it from here, and let us know what you come up with via twitter or one of our other social media profiles. I’d be interested to see what you can create.